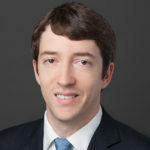 Matthew Haar was an IILJ Scholar from 2006-2009. He received his J.D. from NYU Law in 2009 and is currently an associate at Cahill Gordon & Reindel (UK) LLP.